Audio conferencing is an easy and simple way to get people together on the phone. It is a highly demanded service, as businesses look to increase their business efficiency with less time away from the office travelling to meetings and reduced waiting times for meetings to happen. Connectable to most business phone systems, a conferencing unit is a must have for the modern business enterprise. Sometimes there isn’t time to book a conference room, the meeting needs to be held immediately. Simply plug the conferencing unit into the curly cord of your handset and off you go! 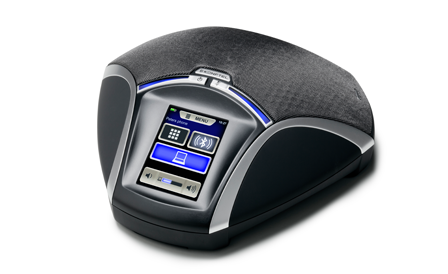 Our conferencing units can also be Bluetooth enabled with mobile phones making conference calling on the move even easier! Mobile phone SIM cards can be inserted in the device to benefit from inclusive mobile call bundles. With the units inbuilt SD memory card, all conference calls can be recorded and distributed to staff without the need for voice recording systems. Naturally for the largest conferencing environment, multiple speakers can be added for larger audience participation.